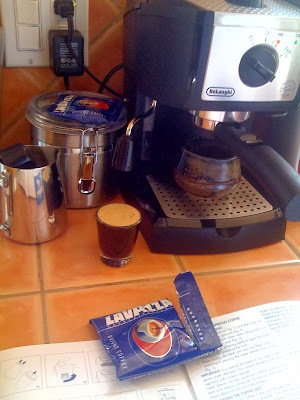 I think the clicking must means it's ready... Espresso, take two! New LavAzza pod (just to be safe), clean shot glass, setting phasers to stun! Finally!! 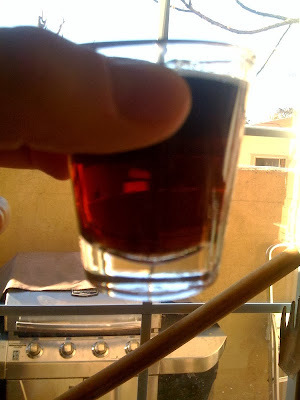 Finally, the machine fills my shot glass to the brim with that familure muddy liquid. And it is good. 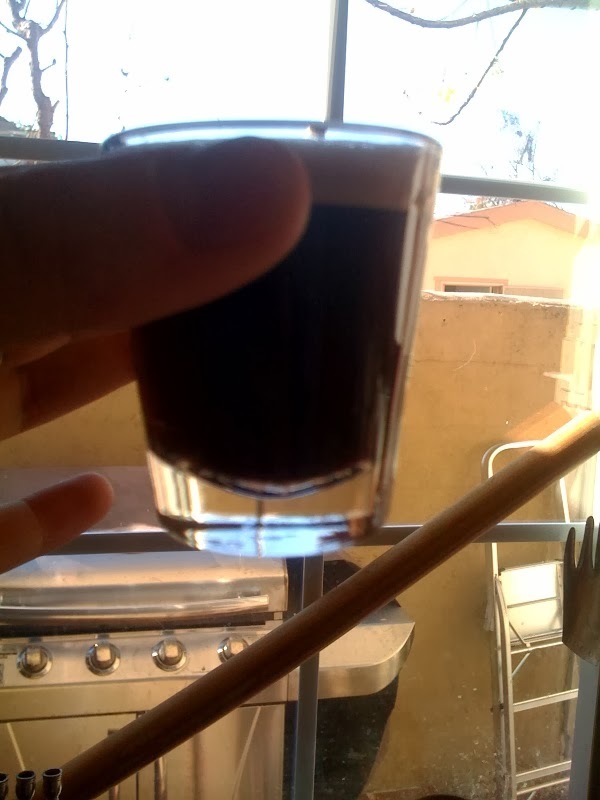 As I sit here in my cute little kitchen, finishing this blog post, and savoring this tiny glass of joy, I contemplate my life and the things that really matter. And I realize, I'm late for work.